My close friends know this about me — I can easily connect many scenes from Family Guy with things that happen in my life. No, I do not fight human-sized chickens, or destroy my friend’s house just to see them fall to the ground in their tub. But scenes more like the clip above. A funny play on words, this clip has been playing on loop in my head for quite a while. What really is beyond? Now that I am no longer pushing 30, this question has become a real reality. What is next? When I turned 20, with my teen years behind me, I remember feeling like it was time for me to start getting some direction, time to start taking things seriously. At 30 I can say now that I wish I didn’t think like that, well not totally like that. I was putting added pressure on myself because of what I thought I should be doing instead of just enjoying the ride. We all put pressure on ourselves, and I know that won’t stop. As I am kindly reminded while I am writing this by a saying on my calendar on my desk: “The future depends on many things, but mostly on you,” I know myself and I will continue to set goals and push myself to reach them. But I’m also going to be fair to myself and listen to myself if things start feeling wrong. I owe that to this one life I get to lead. There are many big things on the horizon for me, this much I know is true, and I know now that it’s okay if plans change. I can learn to adjust to anything as long as I am open to what could be beyond. So as I enter this third decade of my life, I will try to keep an open mind and be flexible with anything that comes my way, and I will be sure to report back on the journey ahead to all the Pushing Thirtyy (and beyond!) readers. Here’s to 30, and here’s to what’s beyond! Should I Stay or Should I Go? — You Vote! But this half birthday actually does matter, at least to the life and future of this blog. This means that in six short months I will no longer be technically pushing thirty. What ever is a girl who blogs about life leading up to turning 30 to do? Of course, this is not a surprise. I always knew this day would come, and I’ve thought a lot about what I would do when it did. In fact, it’s the most common question I get when talking about this blog. Will I rebrand? Will I start a new blog? Will I stop writing all together? I didn’t know where this blog would take me when I first started. I didn’t know if it would be the right format for me, or if I would feel accepted in the blogger community. I’d be lying if I said I didn’t struggle at times with my self-imposed deadlines and the occasional writer’s block (do you have any idea how hard it is to have 2 new ideas a week?) but in the end I did find that this format works for me, and I did feel accepted into the blogger community. And as a writer who has found a home in the blogosphere, I won’t stop writing anytime soon. Still it begs the question, once I am thirty — no longer pushing — should I abandon this space I have called home for the past 3 years? Is it misleading in some way to be 30 and a half and still talking about life lessons learned at my age? Have I reached a point where my perspective or life situation has changed enough to warrant a URL and brand move? I have my thoughts on this, and with six months to go, I’d like to open it up to the readers. What do you guys think? Vote below! What the $@#% is going on? I have written in the past about my unfiltered lifestyle. I’ve also blogged about the things I don’t blog about. I have, in my own way, censored myself. And we all censor ourselves, just some more than others. 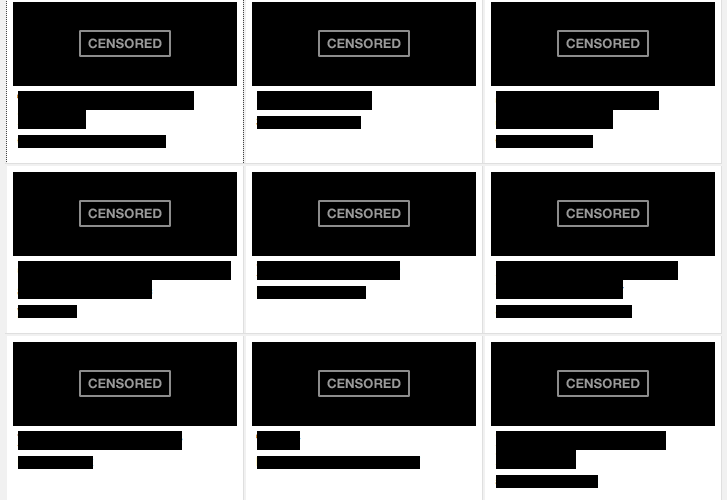 I happen to censor myself as little as possible while some of my friends share significantly less than I do. But the point is that I am choosing to censor myself when I deem it appropriate. I am of legal age which means I can say what I want when I want because I am old enough to judge when it is appropriate or not. Unfortunately, that is not always the case. There are always going to be those who break the rules, who rip people or companies off. But we live in a country that has prided itself on freedom, and if this legislation does pass, we are going back on the very principles this country was founded on. And while the intention of the legislation is aimed at piracy, the, perhaps unintended consequence is the freedom to post, link or write what you want without big brother monitoring. But this isn’t a new debate. This is actually a reborn debate that has just reached new heights in the digital age where information sharing has gone to unbelievable extremes. I remember my first journalism class in high school and learning all about the history of censorship and how it related to the print press as it was. I remember learning about propaganda and the role it played in several world wars. None of this has changed. There are still debates on how the news is reported, how images of people jumping out of the towers on 9/11 were hidden after many had already seen the devastation happen in real time. Fair and balanced is a thing of the past, if it ever existed. Even in America, freedom of speech is constantly in question. And today, more people are speaking. At my last job, I was doing some international media work, which was an interesting experience. I learned just how lucky we are to live in a country that doesn’t block internet content, where media stories aren’t all controlled by the government, where a little blogger like myself can voice my opinions for the entire blogosphere and internet community to hear if they choose to listen. So while the world keeps changing and evolving, I am sure we have not seen the last of this debate. I just hope that our country, our government makes the right decision and does not punish the innovators that have created the new information world just to rid the world of a few questionable sites.